Toyota Camry: An Interior the Whole Family Will Love! If you’ve ever considered what makes a car the perfect car, you’ll find the Toyota Camry fits the bill. With a roomy interior, attractive body style, top safety features and some unique interior features, Toyota continues to be a popular midsize sedan. 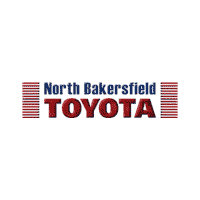 Check out the latest models at North Bakersfield Toyota. Once you get inside the Camry you’ll see it has features the whole family will love! The 10-inch heads-up display, which is great for teen drivers, shows all the important information like speed, turn signals and other info on the bottom of your windshield so you’ll never have to look down. The leather-trimmed front driver and passenger powered seats can be turned eight ways for maximum comfort. If you’ve been undecided on a vehicle, stop in at North Bakersfield Toyota and take a Toyota Camry out for a drive and see how quickly you’ll make up your mind. 0 comment(s) so far on Toyota Camry: An Interior the Whole Family Will Love!